Fun With Puzzles website contains some of out of box thinking brain teasers in which one has to think deeply to solve these puzzles. Some of the these puzzles are finding the odd one out letter in which one has to tell which is different letter among given letters. However most of these brain teasers are Maths Brain Teasers. 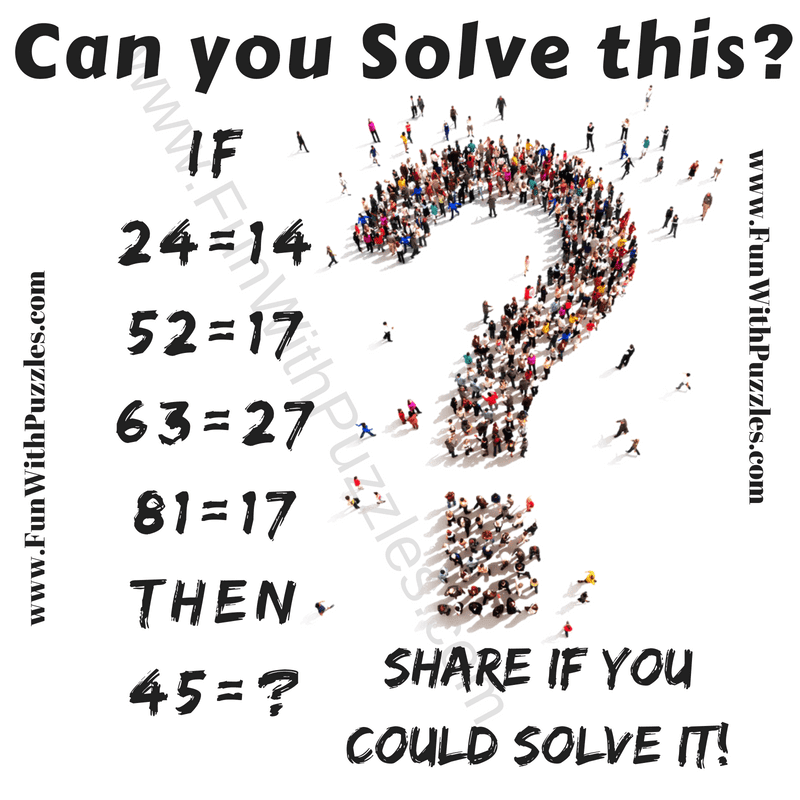 If you have solved most of these puzzles on this website, then solve this tough logical puzzle to test your brain. Can you solve this brain test logical puzzle? 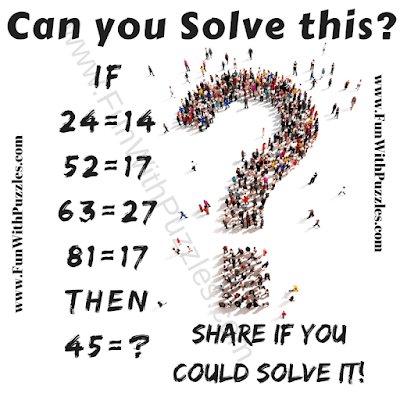 Answer of this "The Brain Test Logical Puzzle", can be viewed by clicking on button. Please do give your best try before looking at the answer.